D-Mo, Falko, Wealz and Mad 2. Most recent piece they had done. Ice. 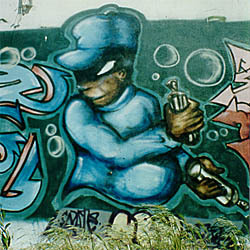 Done for Graf competition, 1997. 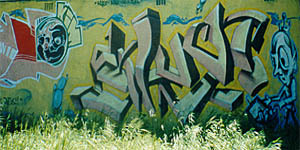 Majik Done for Graf competition, 1997. 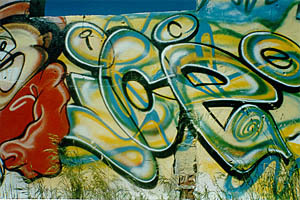 Graffiti City. 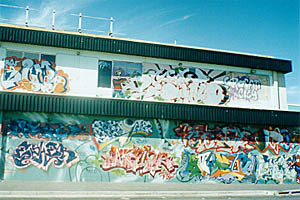 A building who'se entire outside has been covered by pieces done done by various writers, including: Esher, Can 2, Loomit, Falko Seemso, Ice, Darco, Sky-1, Mak 1.